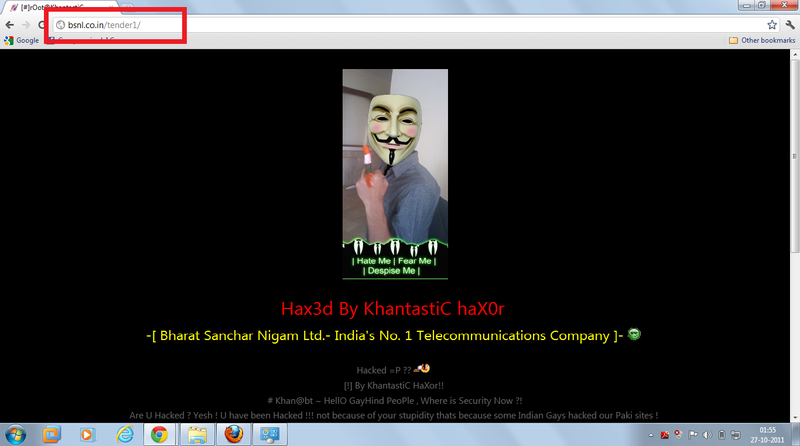 Today, a sub-directory on the BSNL website was hacked by a Pakistani hacker. This makes for a good Diwali gift for BSNL from Pakistan. The defaced site is available at http://www.bsnl.co.in/tender1/ and doesn’t seem to affect any other pages within the same sub-directory, like http://www.bsnl.co.in/tender1/archive3.php. 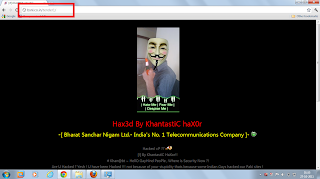 KhantastiC haX0r proves that he has write-access to the web server. Khantastic haXor, said that, “Hey Admin: sorry, just logs and database deleted“. The same site was hacked Jul 27 and Aug 28 of this year. This shows that India’s lagest telecom operatoraters secuirity is in trouble.